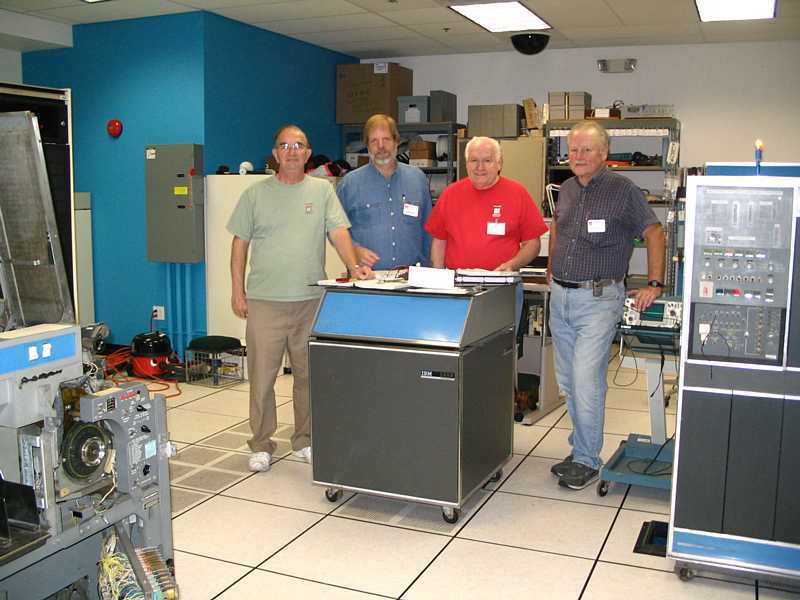 Attendees (at CHM)- Ron Williams, Bob Feretich, Robert Garner, Bill Flora, Ed Thelen. 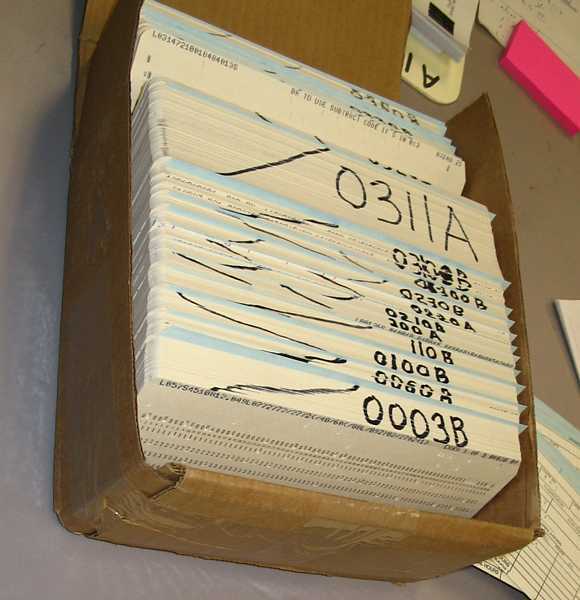 We got cart of German 1401 Diagnostic cards, and Bob Feretich reproduced tests 001, 002, and 003 on the 026 key punch. Bob F placed order to Cardamation to generate diagnostic cards from images read several months ago. The badly coragated? 1402 punch feed roller(s) were turned down by Grant Saviers, see bottom of report in next paragraph. Attendees (at "Restoration East", Grant Saviers' shop on road to Lick Observatory ;-) - Grant Saviers, Allen Palmer. Attendees Ron Williams, Tim Coslet, Ed Thelen - later we kidnapped Jim Manley with his young eyes and steady hands for soldering. Ron had a good day :-)) Got the printer controller to go through one print line cycle - unfortunately, you have to reset the 1401 to go through another print cycle. (No print hammers actually move.) The 1401 has an optional Printer Buffer installed, great for speed, (the 1401 can quickly load the Printer Buffer then start processing the next instruction without waiting for the print operation to complete) but "we" don't know how it works. Have to decode how it should work from the ALDs - time consuming! When Ron finds a sick card, he can often identify which pin is not acting correctly, and can often identify say the input diode as open. He writes a note of his findings, bags the sick SMS card, and places it in a box for Tim Coslet to further check when Tim comes in on Saturdays. 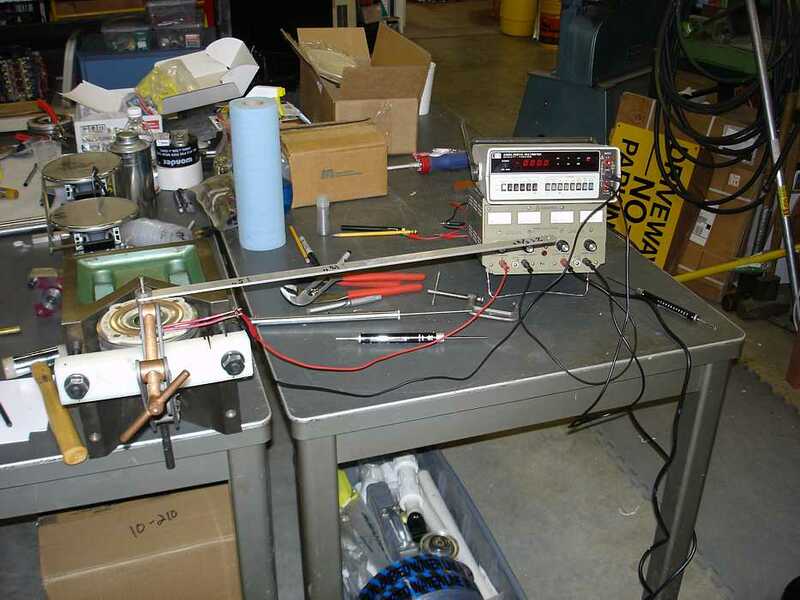 This is Tim Coslet's test jig and scope. He uses a small AC voltage in series with a resistor to non-destructively wiggle the various circuits in the card. Knowledge, experience, and replacement cards for comparison help identify the part that is not acting correctly. Tim identifies the failed component and marks it with a green dot. Tim's hands shake, so it us usually convenient for a steadier handed person to do the actual replacement. The replaced component is marked with some red fingernail polish for tracking. The repaired card with updated tag is placed back in the plastic bag and placed in the "repaired" box. Here are a few of the cards that got fixed today. It is a little alarming that so many passive components (inductors, basically a coil of wire in plastic) and simple diodes fail. 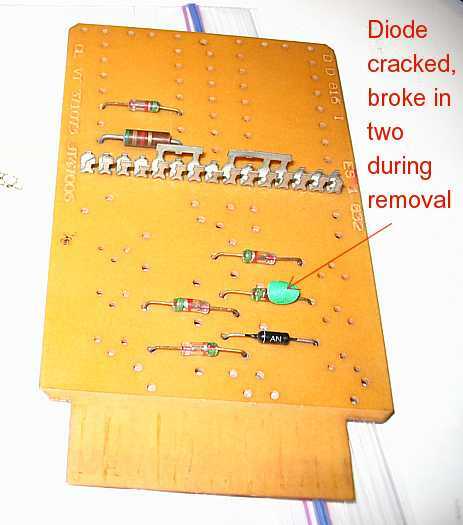 (In the glass diodes, corrosion seems to creep along the wire to glass contact, expanding and cracking the glass, and the diode fails by some mechanism.) To date we have replaced maybe 30 diodes and 10 inductors? Scary. Attendees Ron Williams, Robert Garner, Ron Crane, Don Cull, Robert Feretich, Bill Flora, Ed Thelen. Hmmm, how to say this - politely? Today was not a winner. Ron Williams and Robert Feretich continued struggling to figure the desired operation of the 1401 Printer Buffer option from the prints as there seems no manual describing operation. This option has an added core memory buffer and drivers, and is not at all obvious what is supposed to go on in a detailed sense. Bill F and Don C struggled with 1402 trying to read one card. 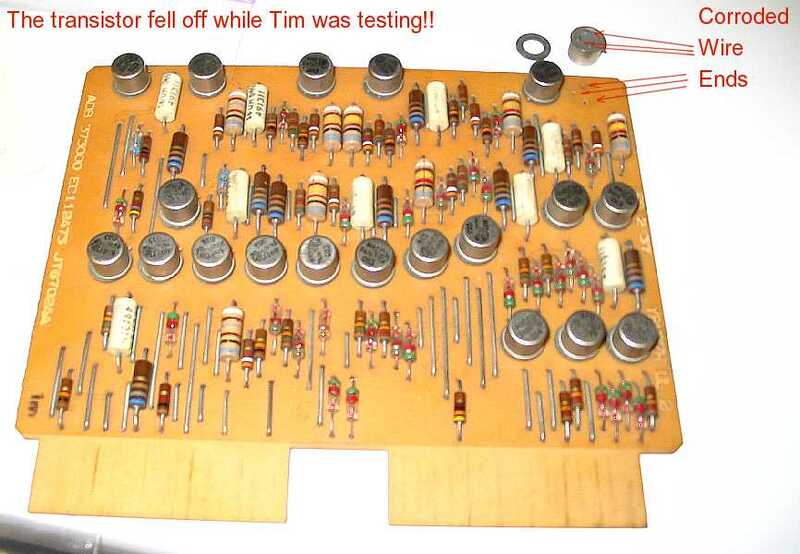 Ed Thelen struggled with removing failed components from SMS cards so that he could replace them. Ron Crane struggled diagnosing failed cards. 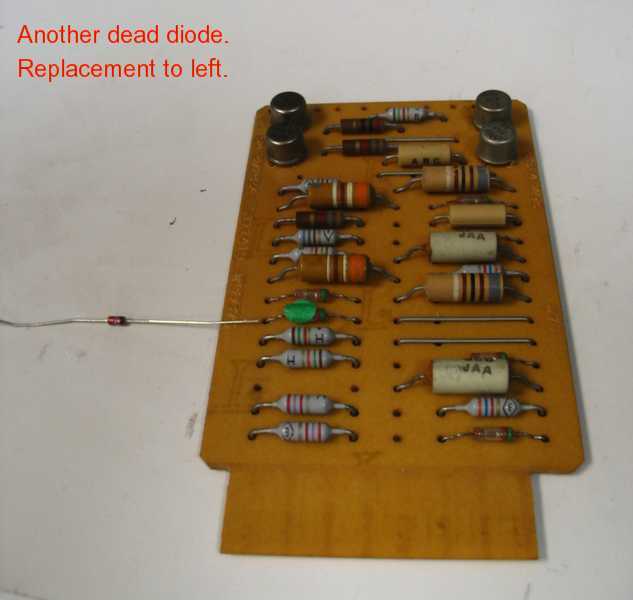 He found another transistor lead completely corroded through - like the three legged transistor was standing on 2 legs. Ron C seems much more adept than most folks at removing and replacing components on SMS cards. - We changed out about 12 transistors and 4 diodes. Just one 2N1302 or equivalent transistor left. Ed then struggled trying to find 2N1302 or equivalent germanium transistors on the Internet - and did not want to pay $5 each. Ron C pointed out that the "germanium" diodes that Ed had purchased from HSC Electronics were in fact silicon (a difference in forward current bias but will be OK in most 1401 circuits if required.) Yes, a lot of struggling, not much to show for it. 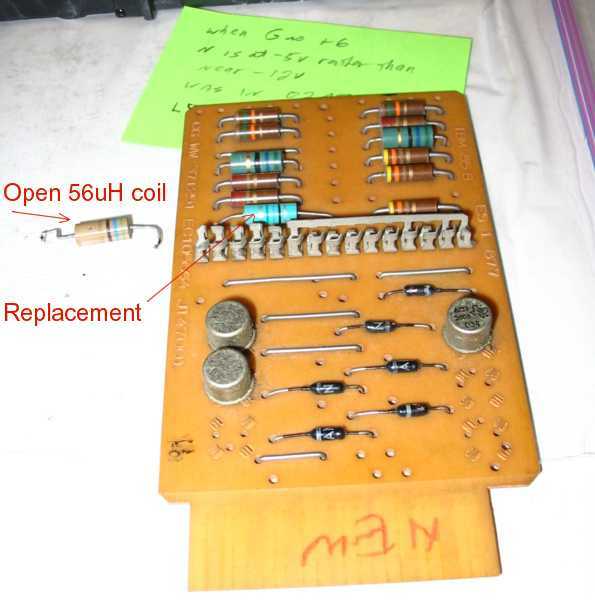 Those 25 2N1303 germanium transistors that Grant Saviers purchased on e-bay now look more like a miracle. Present were Ron Williams, Bill Flora, Don Cull, Robert Feretich, Robert Garner, Ed Thelen. In the 1401 processor, the multiple power supplies checked and working, some 70 faults in the 1401, including about 50 cards have been replaced/fixed, the clocks and lower memory works, instruction fetch and execute cycles work, about half of the instructions work when manually inserted via switches, ... . Present were Ron Williams, Robert Feretich, Bob Erickson, Tim Coslet, and (briefly) Ed Thelen. Robert Garner requested that I (Grant Saviers) update the team on our 729 reel clutch rebuild sub-project. 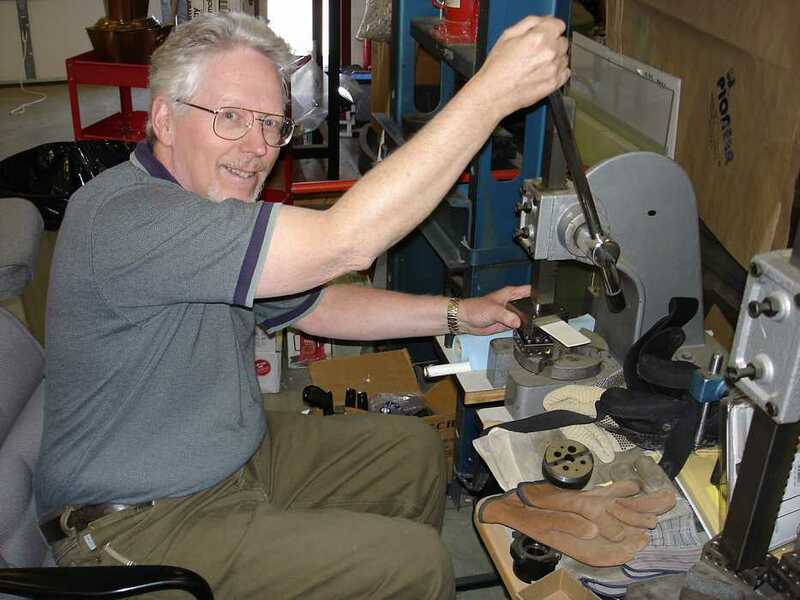 Allen Palmer & I have spent in excess of ten man-days working on the rebuild of the six clutches for the 729 V his team initially restored to tape moving status. This report provides a summary of what has been accomplished. An expanded version will be posted of the 1401 site with additional data, graphs, and pictures. Interference between the clutch back cover and driven disk. In a prior report (see pictures on the 1401 site) it was believed that the clutch may not have been manufactured correctly. This still may be true, however we now know that improper re-assembly of the three clutches on the common shaft can cause this interference. Interference and cover wear was also discovered in one of the left reel clutches, strengthening the improper re-assembly as the likely cause. Contamination of the clutch powder by rear cover aluminum debris and steel wear particles from the driven disk. Worn out felt seals between the bearings and the clutch powder. Damaged clutch bearings � worn, lumpy, and dry grease. The three right reel clutches were disassembled and photographed, see prior report. The left reel clutches were also disassembled and in this process we created a problem by pulling a clutch coil loose. We believe we will be able to solder the leads back to the slip rings although it is a touchy proposition. A new bearing press out fixture has been designed but not built that allows removal of the bearings from the other side, eliminating the stress on the coil assembly. 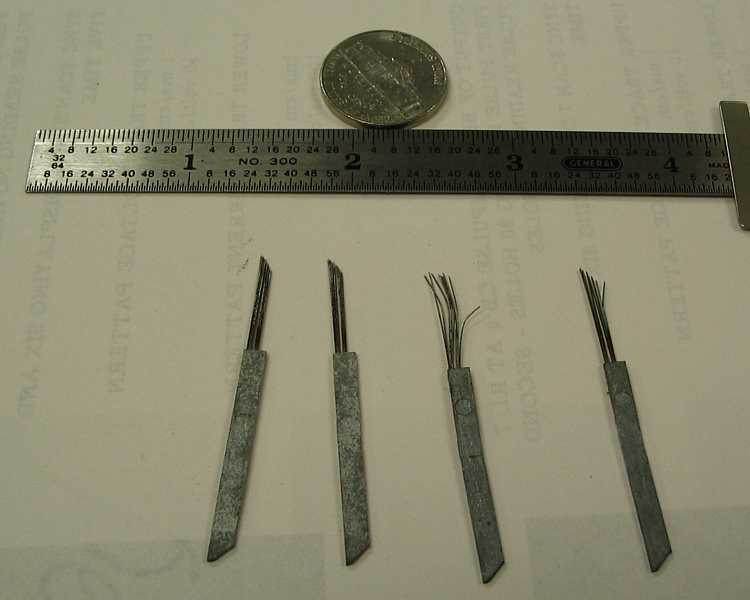 The six coils averaged about 104 ohm resistance and about 0.24 henry inductance. Multiple searches and discussions with bearing makers were unsuccessful. IBM had a special bearing made, it was last produced in 1972. We can get them made, 1000pc minimum order, about $50 each. An alternative using standard bearings will be used. (see the web site for data and chart regarding axial angularity stiffness tests). - 20gms of new powder � looks good! See the web site for the data and chart, also pictures of the test setup. No commercially available internal seal washers could be found so raw felt material was procured in F1 and F3 (high density and medium density resp.) grades in 1/8 and 3/16 thickness. The IBM CE manuals comment on two piece felt washers but none of the clutches so far have contained such a part. The medium density felt is intended as a springs for the high density felt as a seal (high density felt will be next to the bearing). Grant machined a four-piece die set that can punch the ID and OD of the washers concentrically and within a few thousandths� tolerance. Enough washers have been made for the 6 clutches. The existing external felt seal washers will be used as they are much less worn. A die set has been designed but not built to make new external seals in F1 x 1/8� thick felt. Allen is having the damaged threads on one shaft chased (restored). 12 new bearing retainer nuts (spares) are ordered with 50 new locking rings for all 30 clutches. 50 pcs of what I think is the right size bearing spacer (0.006�) have been received. Another man day or at worst two should have both left and right reel assemblies ready to re-install in the 729. Robert Garner and others are securing germanium transistors for the project. Present were Ron Williams, Robert Feretich, Bill Flora, Frank King and Ed Thelen. 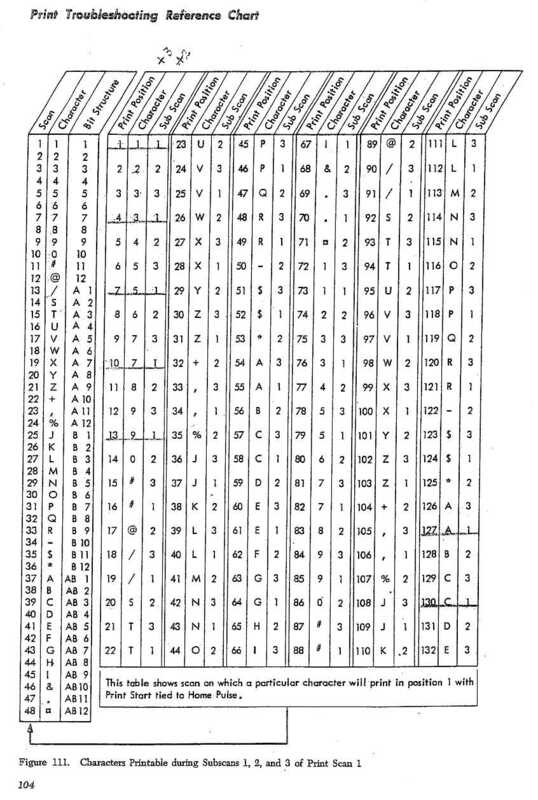 Bill Flora worked on sense switches and logic in the 1402 card punch path. Ron Williams and Robert Feretich worked on printer control logic - it was hang in a state that a subsequent print command could not start. Frank King worked on 1403 printer control logic and lamp displays. 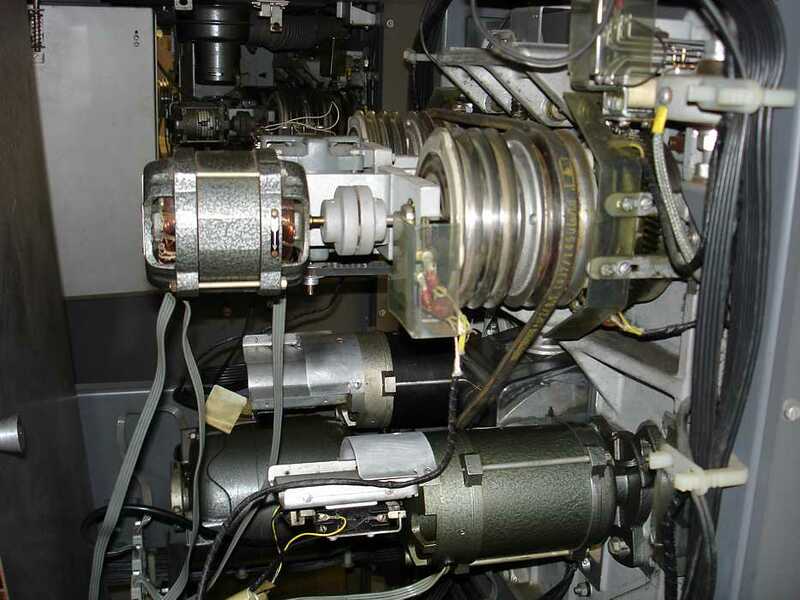 Grant Saviers sent a further report about the 729 reel clutch rebuild sub-project. 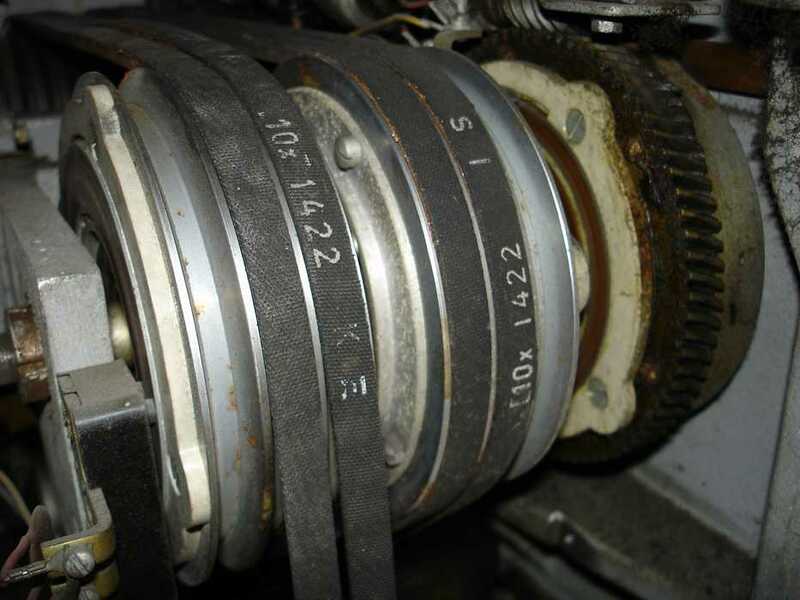 The clutch assembly (right reel) on the 729. The slip rings can be seen. The left two clutches are the tape up and tape down w.r.t. the columns and the front geared clutch is the brake and load/unload clutch. 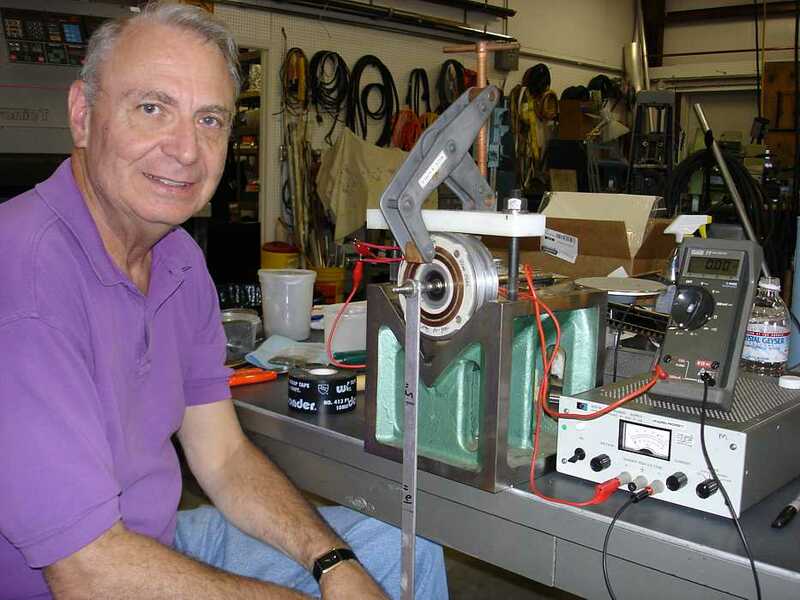 Allen Palmer with version 1 of the torque measuring setup to test IBM vs Placid clutch powders. Rev 2 of the powder torque vs current setup. Chatillon force gauges are connected to the aluminum swing arm to apply a calibrated force at three different radii. 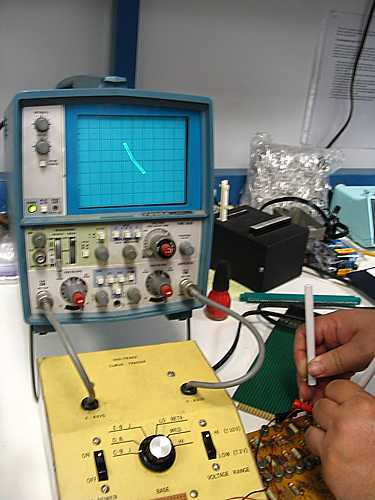 The DVM measures the coil current. The .xls spread sheet "clutch powder" and chart shows the measured torque values for different clutch powders and different amounts of the Placid powder. 20gms of Placid powder was selected as the best amount. The .xls spread sheet "bearing deflections" shows the angular displacement vs load for three (none, one and two) 0.0039" shims between the two radial ball bearings to provide preload. The original MRC duplex bearing was also measured. As a result a compromise shim value of 0.006" will be used in the final assembly. Can you write a diagnostic that can validate reader reliability? the reader's output hopper to its input tray and keep it going indefinitely. cards in the future if we thought we needed them. Can you provide such a diagnostic program? If you can, I can get Cardamation to punch up the cards. I think 1040A does what you want.? Run it with SS D and E on, and C off. detail cards.? Instead, it just tries to read another 60 detail cards. as that would turn on header printing. instead of 61 cards + detail. and the headers are in the program. of the program in a goofy format). 600 lines -- of the detail), all in Cardamation's ASCII-to-BCD code. WinZip knows how to read gnuzip-compressed tar files. Let me know if 1040A won't do what you want. > detail cards. Instead, it just tries to read another 60 detail cards. > as that would turn on header printing. > instead of 61 cards + detail. > and the headers are in the program. > of the program in a goofy format). > 600 lines -- of the detail), all in Cardamation's ASCII-to-BCD code. > WinZip knows how to read gnuzip-compressed tar files. > Let me know if 1040A won't do what you want. and some printer stuff from Ron Williams - who hopefully understands it?? OK - we have the interesting challenge of printing a line of about 130 characters. in front of the hammers. 11.5 microseconds to fetch a character from memory. Frankly I have no clue - very curious!! Apparently there are several counters that operate in trick ways??? the print cycle is complete.